Jim Wrinn is the Editor of Trains magazine, and a consummate professional. He's also a very big fan of Colorado's Narrow Gauge. He recently blogged about it on Train of Thought, the magazine's very active blog. It's called 10 Myths About Visiting the Colorado Narrow Gauge. Here's a sample, with the myth stated first in "double italics" and the response in italics. 4. You should ride the C&TS from Antonito. Wrong. 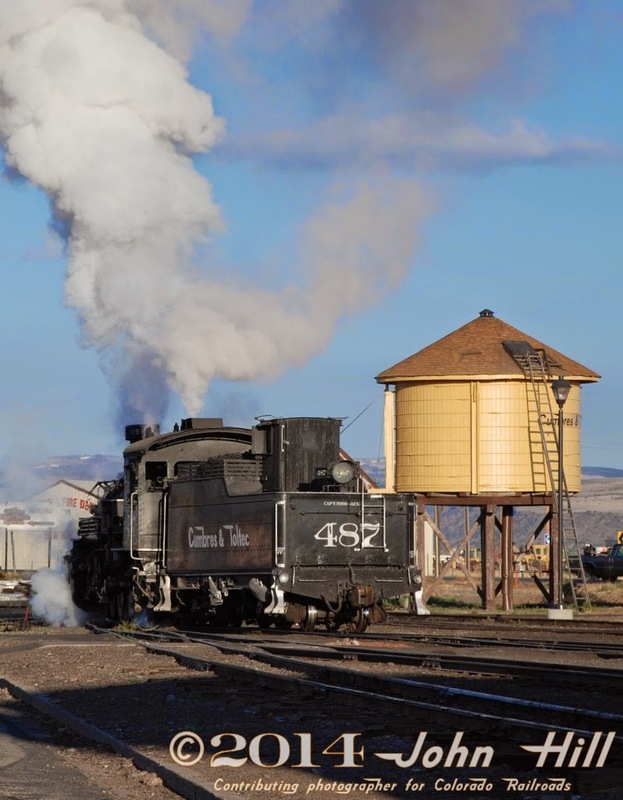 You can ride out of Antonito, but if you really want to experience a hard working locomotive on a 4 percent grade, schedule your trip starting in Chama so you can truly experience the drama of a train on Cumbres Pass. morning? More often than Chama for certain! Jim, while I enjoyed the whole post, I want to disprove this particular myth so much that it is on my bucket list! I've always ridden the Cumbres & Toltec Scenic from Antonito, Colorado and never from Chama. Last year, I promised myself that the next time I ride, it's going to be behind a Rio Grande 2-8-2 barking steam and coal smoke out it's stack as it climbs into Colorado over Cumbres Pass and idles down Tanglefoot Curve. My very first time seeing the narrow gauge C&TS was watching a train come down through that beautiful little bit of engineering. It's going to be special! 8. They’re not worth visiting except in September when the Aspens turn yellow. Not true. You’ll see great scenery any time of the year. Yes, the Aspens are spectacular with their translucent yellow leaves, but anytime is a good time to enjoy the narrow gauge. Anytime, indeed! While aspen gold makes a beautiful contrast with the evergreens and the darker-blue-than-at-sea-level sky, it's not the only color that Colorado has to show. The subtle shades of spring and summer, the regal robes of winter in Cascade Canyon and all over Pikes Peak for most of the year. * Think of your own home or neighborhood or park. Is fall when it's the most beautiful? Maybe. Do other seasons give autumn a run for the money? Most likely! * - Ok, the Manitou & Pikes Peak Railway is not narrow gauge, but it is a cog railway, which is as much different from standard gauge as narrow is. Just look at how the switches are run. V&S Scrapping Towner Line Without Approval?